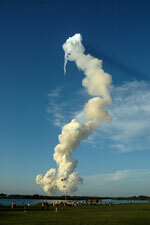 collectSPACE - news - "STS-117 marks 250th orbital crewed flight"
Atlantis launches from Pad 39A. More photographs below. 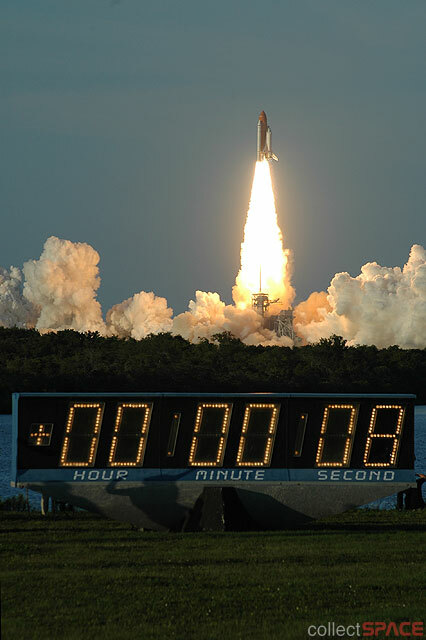 June 8, 2007 — Space shuttle Atlantis lifted off at 7:38 p.m. EDT on June 8 from Pad 39A at the Kennedy Space Center in Florida. 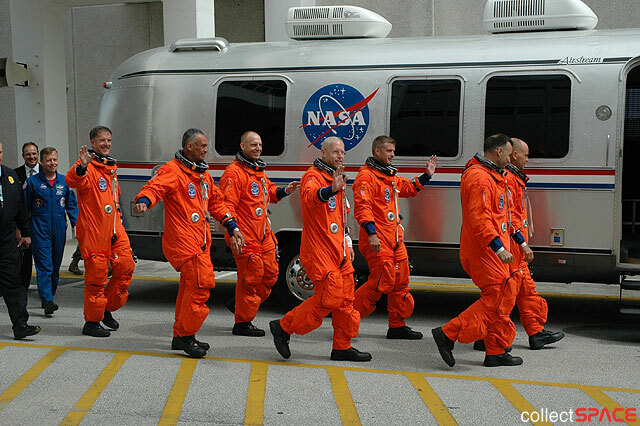 NASA's 118th shuttle flight, the 21st to the international space station and 28th launch of OV-104 (Atlantis), STS-117 is also the 250th manned mission to reach orbit and among its seven person crew is the 460th individual to fly in space. During the planned 11-day flight, four crew members will make three spacewalks to install a new truss segment and deploy a set of solar arrays for the station. Two days and one spacewalk may be added to the flight if the crew experiences difficulties stowing another solar array. In addition to being the heaviest cargo ever launched to the ISS, the 17.5 ton S3/S4 truss segments will serve to extend the right side of the station. When unfolded, their 240-foot arrays will provide additional power to the station in preparation for the arrival of new science modules from the European and Japanese space agencies. Atlantis also brings a new crew member to the ISS and will take another back to Earth after a six month stay that sets the female duration world record at greater than 188 days. 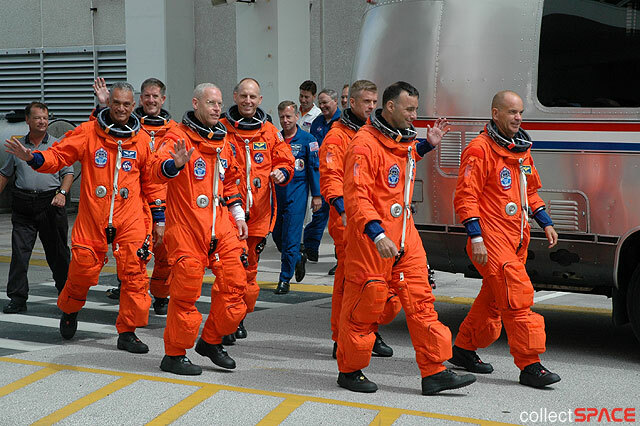 Rick 'CJ' Sturckow, commander, and Lee Archambault, pilot are flying with Patrick Forrester, Steven Swanson, Danny Olivas and Jim Reilly, all mission specialists. 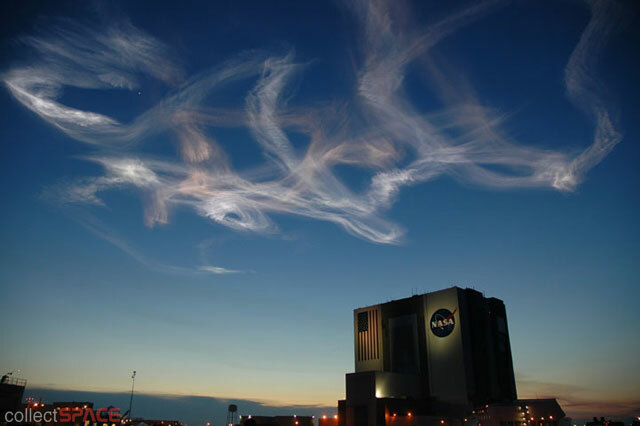 Clay Anderson, ISS Expedition 15 flight engineer flew in the shuttle's seventh seat during launch; Suni Williams, ISS 14/15 flight engineer, will fill the same seat for the return home to Earth. 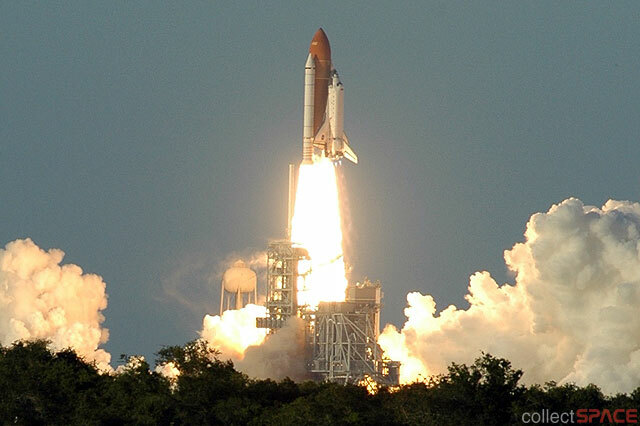 Anderson is scheduled to return to Earth on Discovery's STS-120 mission in October. Atlantis was originally targeted for launch in March, but a hail storm damaged foam insulation on the shuttle's fuel tank, forcing a decision to roll the spacecraft off the pad to make repairs.